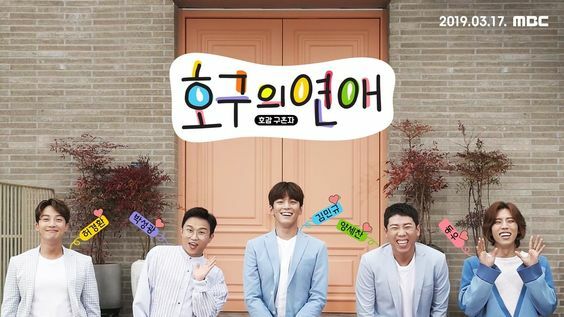 MBC’s upcoming romantic traveling variety show “Hogu’s Romance” (literal title) has released official posters and behind-the-scenes videos of the first recording and previously revealed teaser! 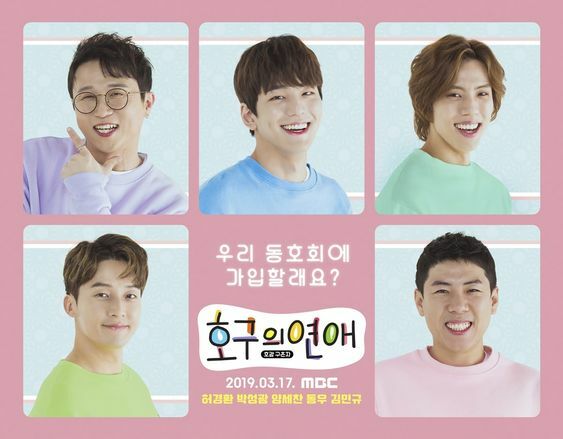 In the show, INFINITE’s Dongwoo, comedians Heo Kyung Hwan, Park Sung Kwang, and Yang Se Chan, and actor Kim Min Kyu will go on a trip with non-celebrity applicants who are looking for something new in their lives. The official posters show the five celebrities each making different facial expressions to portray the heart-fluttering feeling of romance. In the first making video, the cast members coordinate with each other as they get the timing just right for their cute teaser clip. In the second video, they try not to be embarrassed as they dance their way into the studio. 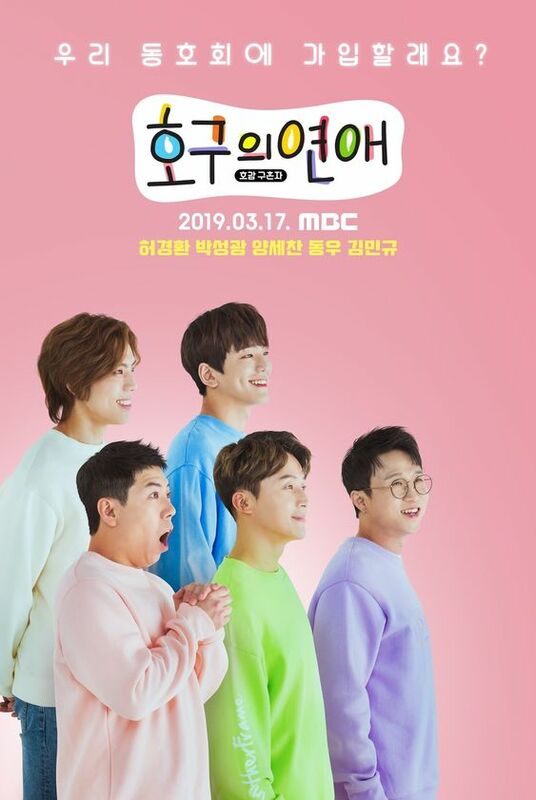 “Hogu’s Romance” will begin airing on March 17.